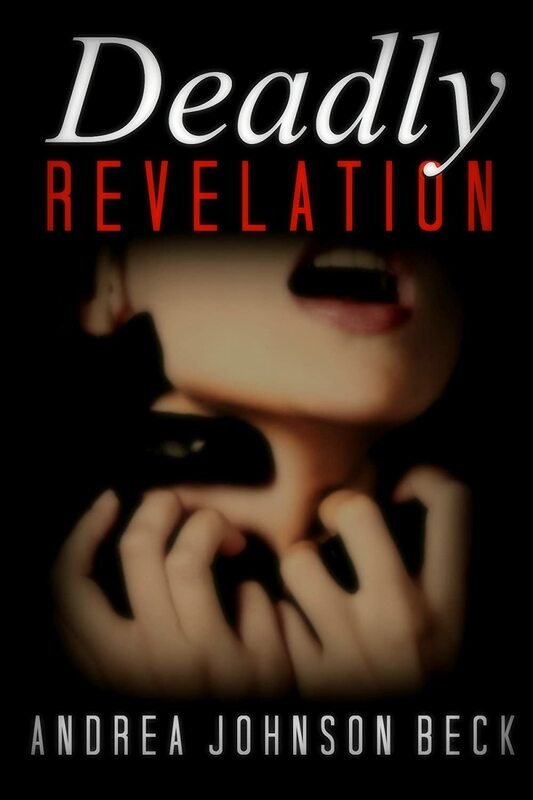 DEADLY REVELATION by Andrea Johnson Beck is an exciting Romantic Suspense/Mystery/Psychological Thriller. # 2 in the “Deadly” series, but can be read as a stand alone. See, DEADLY DECEPTION. Meet the cast of characters: Dr. Anne Montgomery, Anne’s brute of a husband, Carter Montgomery…Dr. Casey Adler, her childhood friend…Claire Monroe, her newest friend…and Adam Whitney, her past love. What a cast of characters these are too. They are engaging as well as realistic. DEADLY REVELATION will keep you on your toes as you follow these characters through this story. Fast paced and filled with romance, passion, murder, revenge, suspense, mystery, betrayal, family, love, and danger. Well written with characters who will keep you in awe, as you try to figure out who is doing what to whom. Well done! The DEADLY series continues later this year or early next year with DEADLY CONVICTION, I can hardly wait. A very intriguing series and one I would recommend to any reader who enjoys thrillers, suspense, mystery, and romance. Another great read from Ms. Beck!